Daryl Dale is a children’s pastor in CT and was very influential to me at Children’s Pastor’s Conference that I attended in 2002. He placed the following article in his curriculum for the years while he published his own curriculum. Since it is out of print, and defiantly worth reading by all educators, I have reprinted it below. â€œThe human brain remembers what it understands and what is repeated. Bible stories and concepts are selected on the basis of the childâ€™s ability to understand the primary truth in the story. It is through teaching the child learns the real meaning and application of the Bible story. It is through repetition learning is stored in the childâ€™s long term memory and retained. It is almost impossible for a child to remember our Bible lessons without repetition and review. Those who study how learning takes place in the brain describe our minds having two parts: a short term memory and a long term memory. The short term memory remembers new facts and concepts for about ten seconds and then forgets them unless they are repeated. When you hear a phone number, personâ€™s name or directions to a store that information will be lost unless you write it down or repeat it in your mind several times. Each time we repeat the information in our mind we will remember it a little longer. With repetition and use new knowledge is moved into our long term memory and remembered for months or even years. 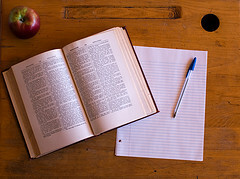 The ZIP PLOP method of teaching is all too common in church classrooms. Imagine the childâ€™s brain as being a tunnel that stretches from ear to ear. This tunnel is three inches square and nine inches long. Pretend each Bible lesson is a three-inch-block. Every week we teach a new lesson and push a new three inch block into the childâ€™s head. However, after three blocks are in the childâ€™s brain, what happens when the fourth lesson is put in? It plops out. If week after week the teacher continues to push new lessons into the childâ€™s brain without review, the material almost literally goes in one ear and out the other. However, each time a Bible concept is reviewed it is prevented from escaping the mind and stored more securely in the long term memory of the child. It is important enough to review. A suggestion is the get the sentence strips at educational stores and write your review items on them, (part of the item on one side, and the conclusion on the back). By adding a few every week during a particular topic of study, you will greatly improve your students recall of specific items of study, memory verses, names, places, etc. It only takes a few minutes to do, and you can make it fun.